It is back. My self-promoting birthday list. For whatever reason, I decided to be less self-promoting last year and forgot about even publicly posting a list. HOWEVER. I’ll violate a rule of trying to appear mature…since I think my readership has declined since 2006. In some way though, this list becomes more of my to-do shopping list for the upcoming year. 12. Mango. Cut so that I don’t need to waste my time peeling. 13. Kiwi. Cut as well. “So there’s this game where you water flowers and try to make the park really green! 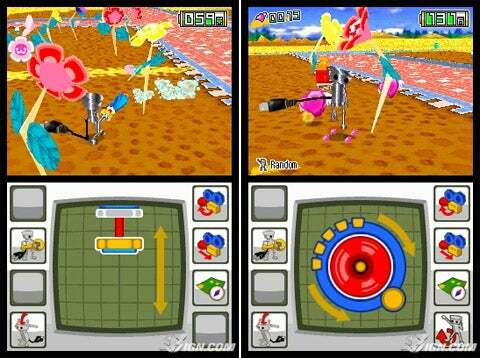 But then you have enemies that want to destroy your park!” I described Chibi-Robo: Park Patrol to my coworkers. Saying that, I realized how crazy it sounded. But essentially it’s the core of the next game that hooked my attention on the Nintendo DS. Chris and I would say to each other bung!—one of the many cute sound effects of the game. 1. Easy recovery from mistakes. The game requires only minimal skill. Or at least, it doesn’t punish you for being unskilled. There’s no punishment for lack of skill (besides carpal tunnel). See number one. It doesn’t punish you for being unskilled, but rewards you for being more skillful. Just like number one. Ok, so I might lose some happy points, but that’s not a severe punishment like being sent to my last save point. Unlike Zelda, the helpful NPC wasn’t that annoying. At least it didn’t say “HEY!” everywhere I went. Where do I want to put my trampoline? Where do I want to place my cannon? Do I want blue, orange, green, or purple flowers? Where do I want to build paths and fountains? Decisions that really don’t affect the final goal of the game added to its character. In some odd way, I thought I was making the world more greener. Also, I love hanging out with the Pop Fizz penguins. Hi Jenn, I have something very important to speak with you. This is Rod’s wife a female voice said on my voicemail last Monday. She called back about 2 hours later. Last Monday’s incident freaked me out. More so, how the woman got my phone number. With my name and accused me of having a “relationship” with her husband. Chris joked it was his wife, but we all know his name doesn’t sound like Rob or Rod. After much thought, the only place that I have my phone number visible is on my facebook profile. Only available to friends and specific networks. And I have always been very selective of the friends I add. To me, it was almost a test of whether people will still claim they didn’t have my phone number, when it was right there. Should I be cautious? My philosophy is that most people are too lazy to look at my information. More so, I would like to have some entertainment in the evenings on my phone (except for telemarketers). $1000 maximum and minimum. 12 month maturity. One-time promotion. Is it worth it? After taxes? So, I sulked home, but a surprise awaited me that wouldn’t have occurred if first plan, second plan, or third plan worked out. Is this what serendipity meant? Or does fate know that for the last few months, my Thursdays are never supposed to be a quiet evening of boredom and quiet? Ever since plastic bags were banned in San Francisco, I was happy that my ball of shopping bags under the sink would decrease in size. And started to bring my own canvas bags when shopping. But now months later, I have used up nearly all my plastic bags. What am I supposed to use for the smaller trash cans? Can I feasibly convince myself to buy plastic bags to fit those office trash cans? Or do I pour out the office trash cans into a larger trash can? As a young’un, my mom never let my sister and me buy lunch at school. There was the exception of Pizza Fridays where we begged to be like everyone else and buy the ticket to pizza every Friday. Or in high school, where we use the money we earned from red envelopes to buy french fries (now that I think of it, I never asked my parents directly for money until I was in college). And so this day, I still bring lunch to work. It’s a puzzling thing to do in downtown San Francisco when there’s a diverse set of restaurants in the area. But I just couldn’t justify spending $10 a day (the average more or less) eating out. Even as much as I like my pho and tea. My freshly tossed salad with grilled chicken. The mashed potates and meatloaf, cooked homestyle. The thick MSG-laden beef stew and thai iced tea. Oh I would love it all. But I just couldn’t justify it. And so I am on a journey to cook better. I try not to appear cheap, but I know some people perceive me as such. I made Vietnamese bun yesterday and pseudo fried rice today. And had a plain yogurt dumped with a scoop of strawberry ruharb jam. I saw the light flashing on my phone, hoping it was my doctor or some other medical professional calling back after I had left a message this morning about feeling a little ill. It said private no. calling. In fact, I had gotten a number like that this morning, but nobody was there. I thought someone had a bad connection. I answered with my name as I picked up the phone as I usually do when I want to be professional. “Jenn?” a female voice said. “Is this Jenn of Atech? This is Rod’s wife.” she said. If I hadn’t been under pressure to finish some work and feeling horribly ill, it would have been somewhat amusing to me. But for some reason or not, I felt anxious like I had been accused of something…wait did I really have a relationship with Rod? Was I drugged at one point in the last week that I emailed a Rod? But wait, I don’t even know a Rod! She eventually apologized and I wished her good luck in resolving her issues. When you said yes more than 3 weeks ago. But when you call back, nobody picks up and so instead you send a text message back. 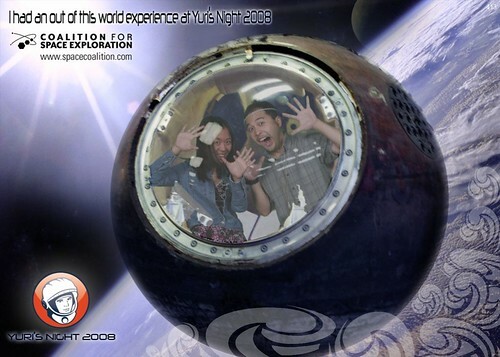 On Saturday night after waiting in a long 1 hour line to order food at a booth, after hearing electronica music echoing across the hangars, feeling nauseous watching a human-powered amusement ride, looking at so-so exhibits…I was trapped inside a BALL in space! Jenn. Thirty something. Writer, traveler, ice cream lover, user experience strategist, and an all-around believer in "carpe diem". An extroverted introverted who spent most of her life in the Bay Area and two years in the "east coast". In the middle of yet another quarter-life crisis, beware. "Silence is golden" was her high school quote. Stealth geek in disguise. Likes to Google (you). Resourceful is the most common descriptive word. Loves M83 and Metric. Avoids melted cheese and will eat sandwiches inside out.